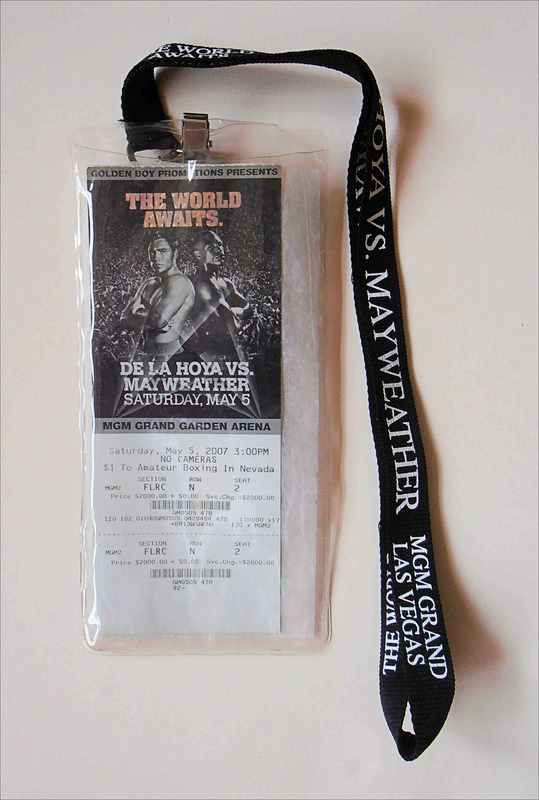 Description : Here we have an original official MGM Grand Las Vegas VIP pass (With Lanyard) for the world super/welterweight championship title fight between Oscar De La Hoya vs. Floyd Mayweather. 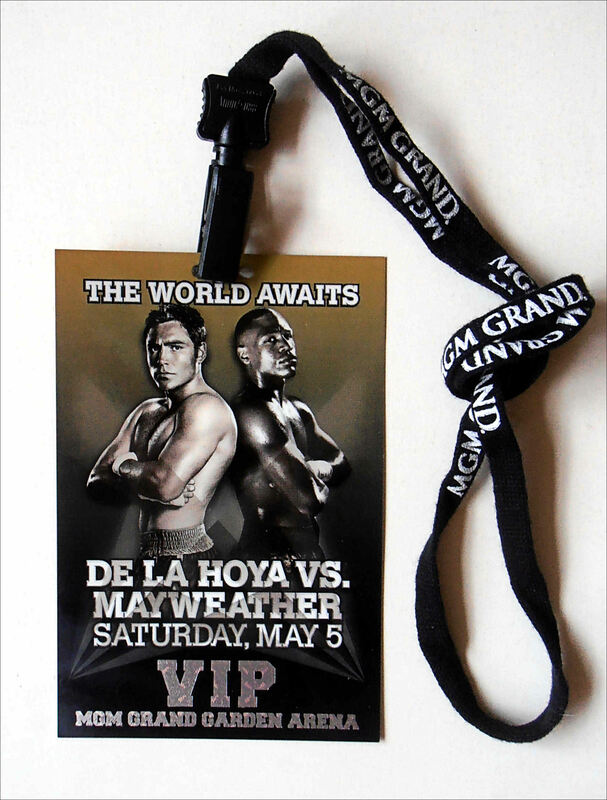 Billed as 'The World Awaits' was a super welterweight superfight which took place on May 5, 2007, at the MGM Grand Arena in Las Vegas, Nevada between six-division world champion Oscar De La Hoya (38-4, 30 KO) and undefeated four-division champion Floyd Mayweather Jr. (37-0, 24 KO). At the time, the match was the most lucrative boxing match ever, with over $130 million in generated revenue. 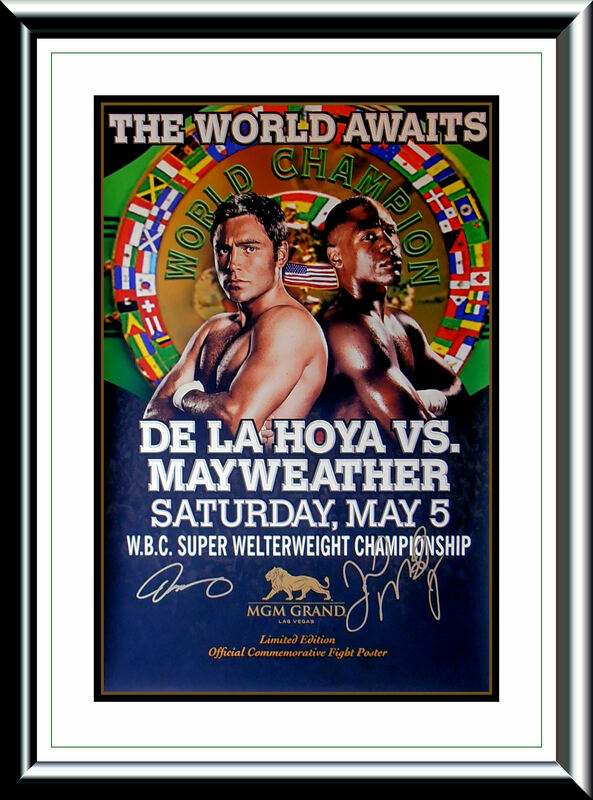 Mayweather Jr. won by split decision over De La Hoya in 12 rounds, capturing the World Boxing Council (WBC) light middleweight title.